This outfit was made for a friend who runs our woodworker’s guild for his birthday. 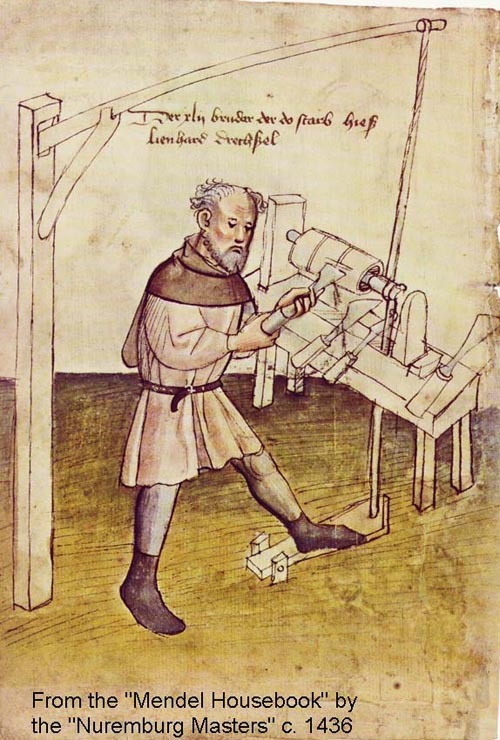 He reproduced a foot-treadle lathe from the period print below and wanted an outfit to match the look of the print. I used linen that he provided that was originally shocking pink and turquoise but was tamed with some brown dye into the lovely mauve and slate blue that you see to be more indicative of natural dyes. 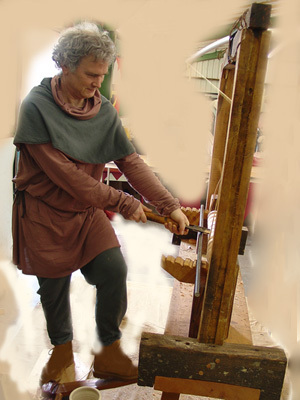 I was going just on the print so I interpreted this along with workingman’s clothes of the 15th century and made hosen, a tunic, and a hood.